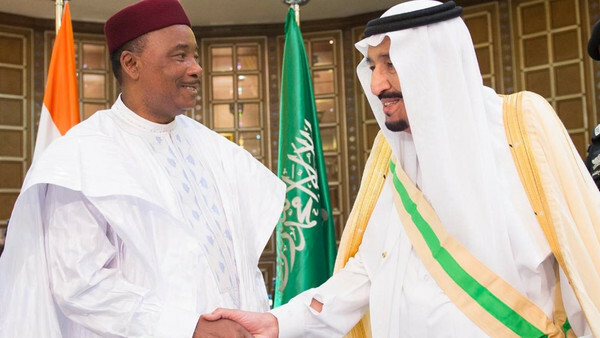 Saudi King Salman bin Abdulaziz received Issoufou Mahamadou, President of The Republic of Niger, at his palace in the capital Riyadh on Sunday, the state-owned Saudi Press Agency (SPA) reported. King Salman and President Mahamadou discussed bilateral relations and aspects of cooperation between the two countries. The leaders also reviewed the latest regional developments, SPA added. Mahamadou also granted the Saudi king the National Merit Medal, the highest conferrable honor in the Republic of Niger. The meeting was attended by a number of high-ranking Saudi officials, including Crown Prince Mohammed bin Naif bin Abdulaziz, along with the president’s accompanying delegation.